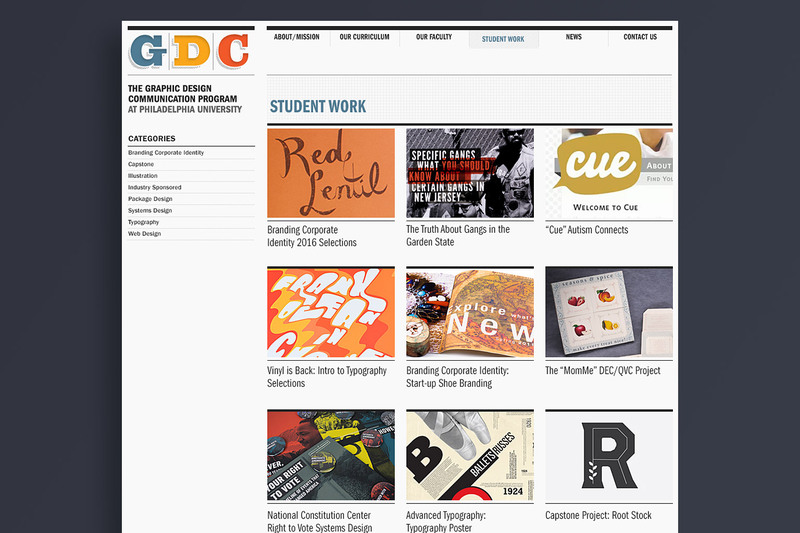 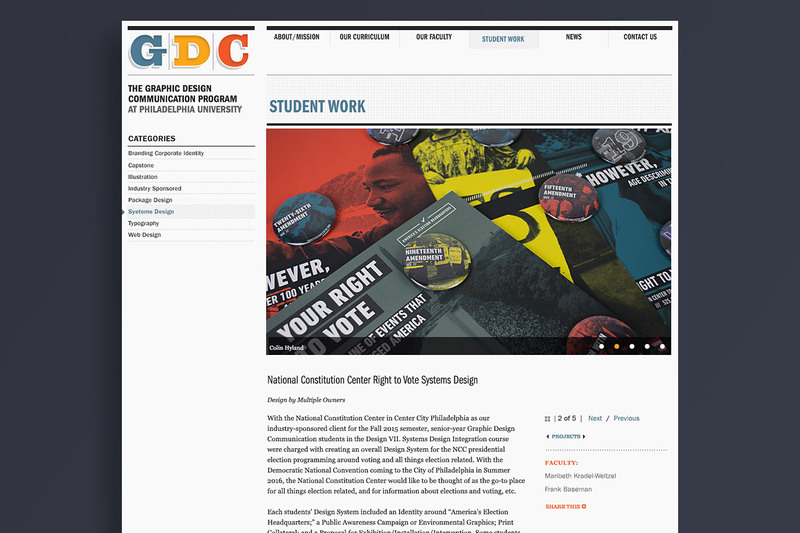 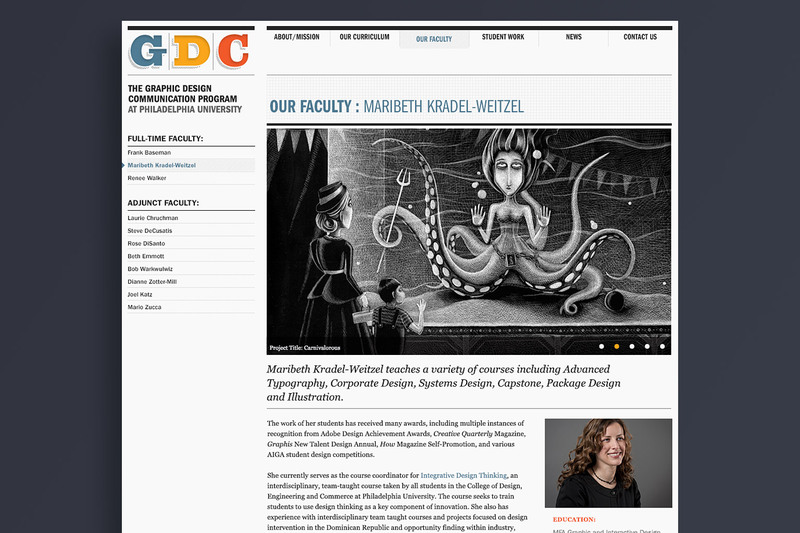 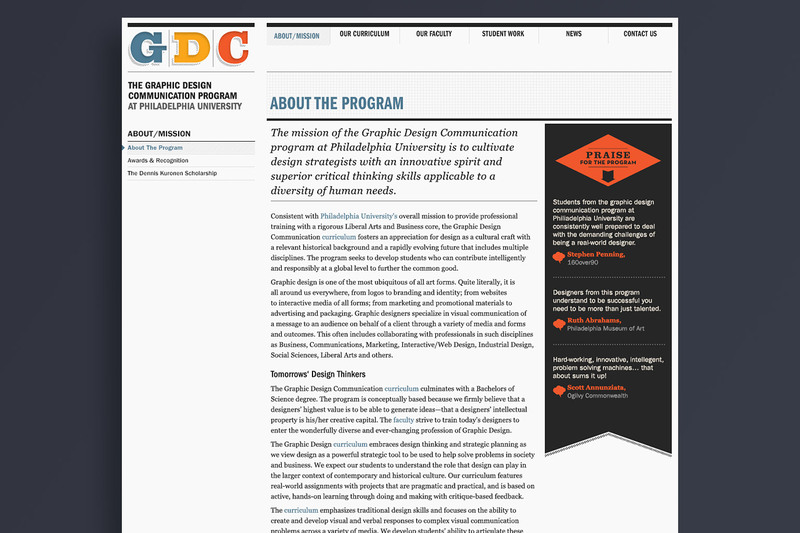 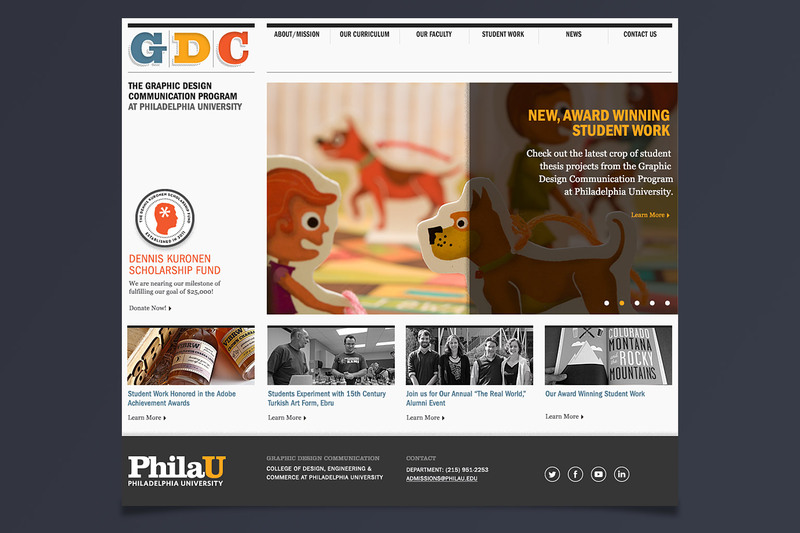 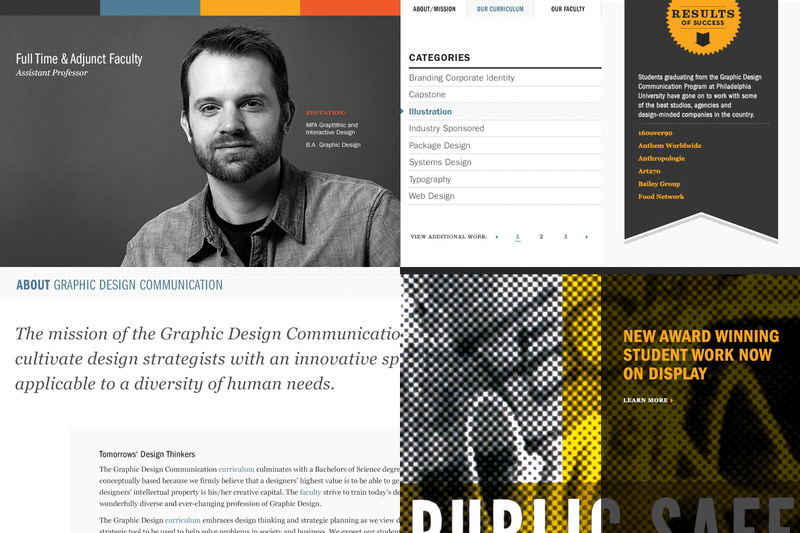 We pitched the idea of building a microsite specifically for the undergraduate Graphic Design Communications program at Philadelphia University as a means for providing a more comprehensive look into the program and to celebrate the stellar work and faculty that make it happen. 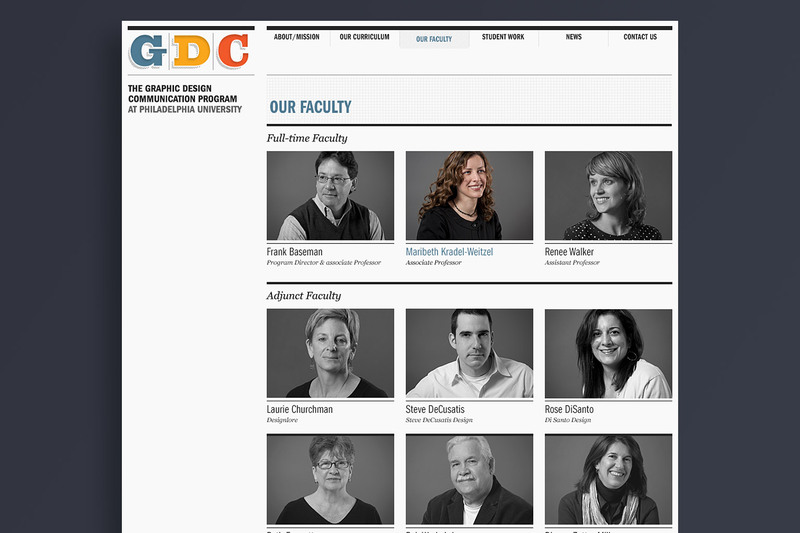 The site provides guests with important information about the program, in-depth bios for each of the full time and adjunct faculty, an ongoing collection of student work, and a steady news feed designed to inform visitors about the developments of the program. 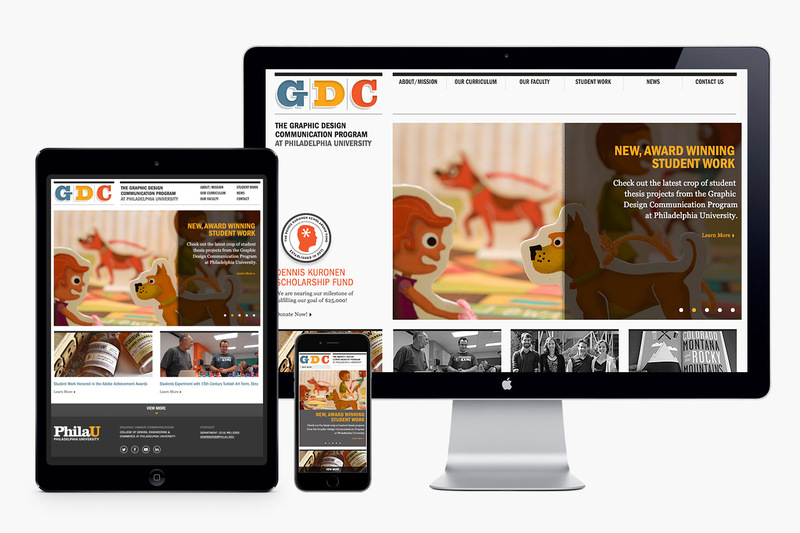 The fully responsive site was built with a custom theme on the WordPress platform for ease of updating and maintenance of all content internally.